The Cardinals are only (12-15) since the All-Star Break in mid-July, far off the pace from their Major-League leading (57-36) record in the first half of the season. 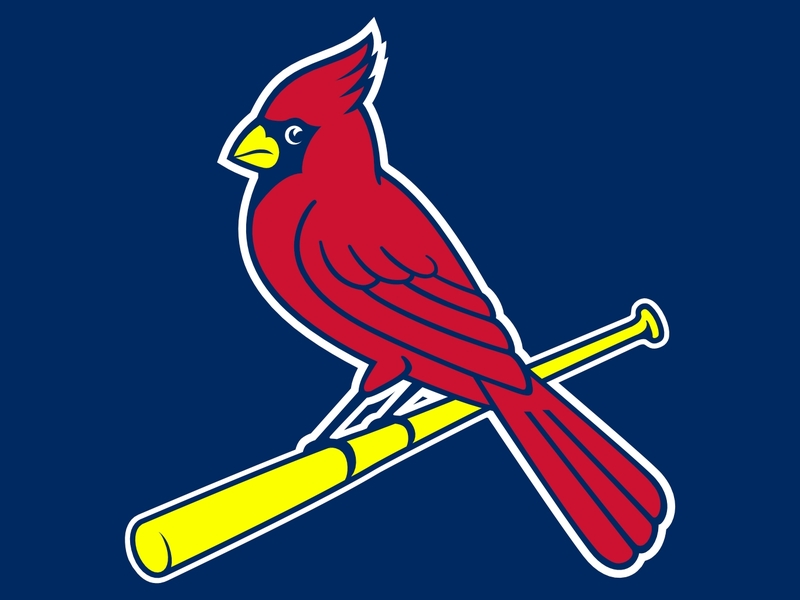 However, the recent series win over the Pirates gives the fans hope that the Cardinals can overcome their tough month and still win the NL Central Division. Early last week, the St. Louis Cardinals beat the Pittsburgh Pirates twice in a crucial mid-August three-game series. It was most definitely a thrilling series that saw two extra-inning walk-off singles (one on Tuesday by Adron Chambers in the 14th inning, and one Thursday afternoon by Matt Holliday in the 12th inning). The Cardinals definitely could have used a sweep in the series, but two out of three is the next best thing. Over the weekend, the Cardinals took two of three on the road against the Chicago Cubs at Wrigley Field. And then they topped that off with a come-from-behind win at Miller Park on Monday night to beat the Brewers 8-5. Jon Jay lifts a 2-run Home Run in the 6th inning against the Brewers on this swing of the bat. 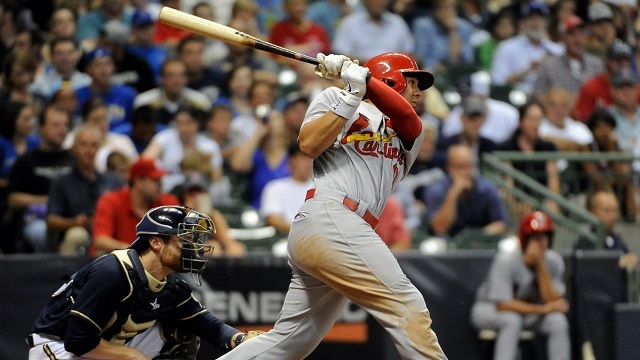 The Cardinals defeated the Brewers 8-5, coming from behind. They scored 4 Runs in the top of the 8th to take that 8-5 lead, and they held on for the victory. After what has been a sub-par couple of weeks following the All-Star Break, the Cardinals might be catching some life. They are (5-2) over their last seven games (4 of which have been on the road). It seems that they might be finally returning to their ‘never-die’ style of play that carried them through the 2011 Postseason to a World Series title, and a fantastic 2012 Postseason run, coming up just short of the World Series. It has been a tough run as of late for the Cardinals. They have had all kinds of issues – bullpen, lack of power, injuries, etc. But it seems possible that they could be on the way back to their winning way. MAYBE. Cardinals fans everywhere are hoping so. 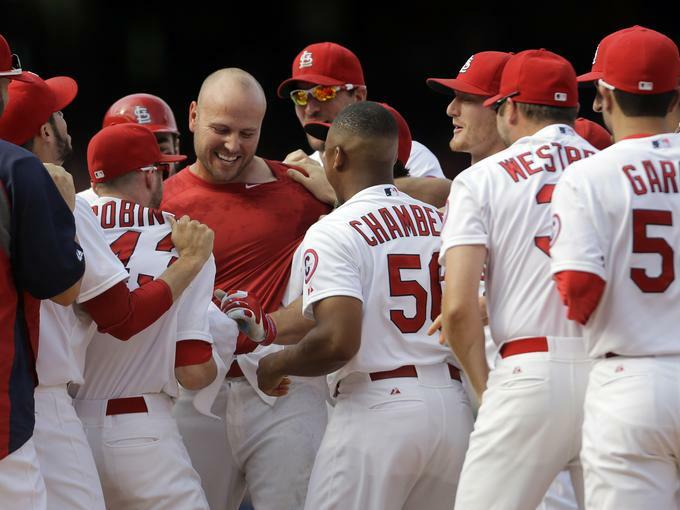 Matt Holliday is mobbed by teammates after his 12th-inning walk-off single that beat the Pirates 6-5 on Thursday. Holliday was 2-for-5 on the day with an RBI double in the 5th inning and the RBI single in the 12th that won the game for the Cardinals. The Cardinals will have a fantastic opportunity in the last six weeks of the season to solidify their playoff spot. They currently hold the first Wild Card spot by a game and a half in the NL Standings. However, they still have 13 games against the Cincinnati Reds and Pittsburgh Pirates remaining on the schedule. Those 13 games will be consecutive, beginning with a three-game home-stand against the Reds on August 26th. The Cardinals are knocking on the door of the top spot in the NL Central, putting plenty of pressure on the Pittsburgh Pirates. The Cardinals will finish their three-game series against the Brewers on Tuesday night and Wednesday afternoon. Then they will travel home to face the Atlanta Braves, who have the best record in all of baseball, for a four game series. Pittsburgh will finish up their West-Coast road trip with two games in San Diego and four games in San Francisco over the weekend. The Pirates and Cardinals next play each other from August 30th through September 2nd in a three-game weekend series. 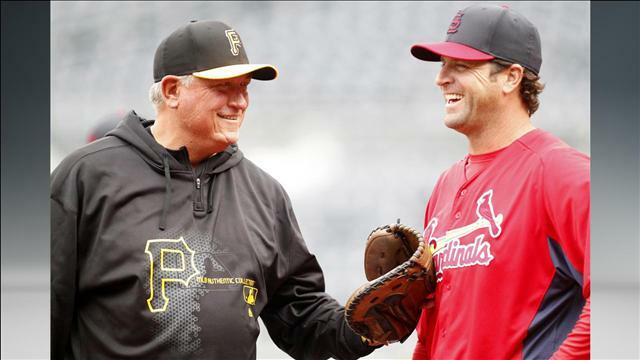 Cardinals Manager Mike Matheny and Pirates Manager Clint Hurdle share a laugh before a game between the two squads in the 2013 season. These two clubs currently are first and second in the National League Central Division. The Pirates are in first place with a 73-51 record; the Cardinals are 1 Game Back with a record of 72-52; and the Cincinnati Reds are 2.5 Games Back with a record of 71-54. A big thank-you goes out to our Cardinals Correspondent Landen Crouch. Landen is a huge fan of the St. Louis Cardinals. He has followed them almost religiously since he was 7-Years-Old. In recent years, though, he has discovered how deep his passion for the game of baseball is. His dream is to visit as many ballparks as he can in his lifetime. Landen does not currently cover sports professionally, but as a hobby. 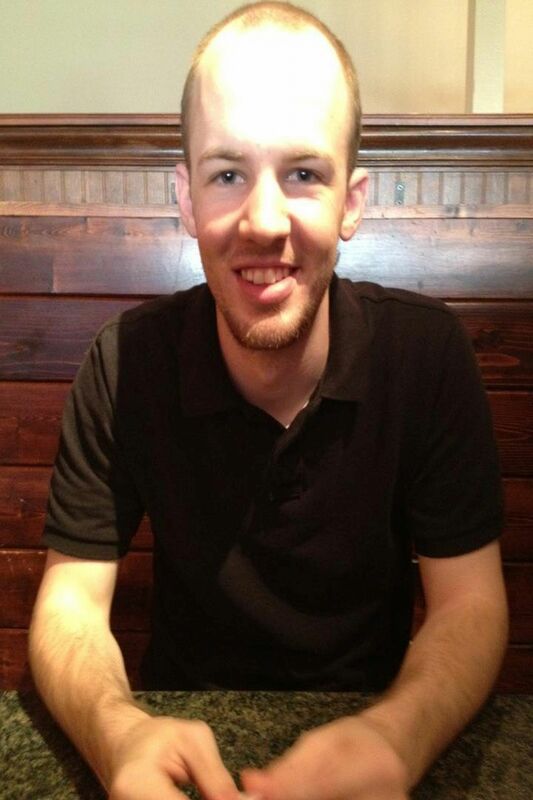 He is studying Vocal Music Education at Arkansas Tech University and is his final year in the program. Posted on August 20, 2013, in MLB Player Profiles, MLB Teams: Articles and Analysis, The Rest: Everything Baseball and tagged @landencrouch on twitter, adam wainwright, allen craig, arizona diamondbacks, busch stadium, Cardinals starting pitching rotation, Carlos Martinez, chris carpenter, cincinnati reds, Jaime Garcia, jake westbrook, joe kelly, john gast, Keith Butler, kevin siegrist, kyle lohse, lance lynn, Landen Crouch, michael wacha, milwaukee brewers, NL Central, seth maness, shelby miller, st louis cardinals, Tommy John Surgery, trevor rosenthal, yadier molina. Bookmark the permalink. Leave a comment.